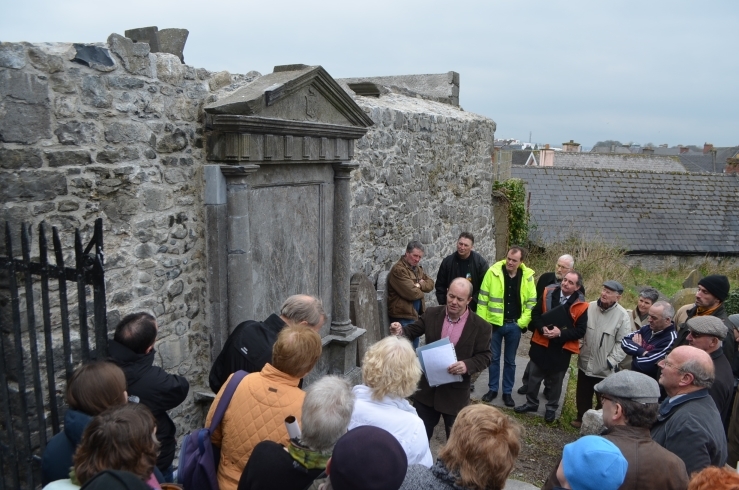 There was a large gathering to review progress on the conservation work being undertaken at St Mary’s Church Graveyard. 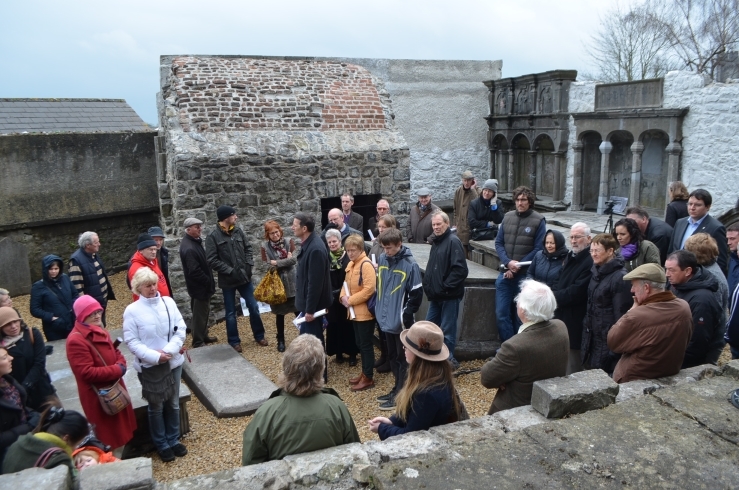 The Open Day was organised to give an opportunity to meet with the stonemasons, conservation specialists and archaeologists working on the project. There will be a seminar on the overall conservation and restoration project at St Mary’s on the 13th April. For further information click here for link. Some of the Large attendance at the event. City poster. This shows historic stone work within St Mary’s. 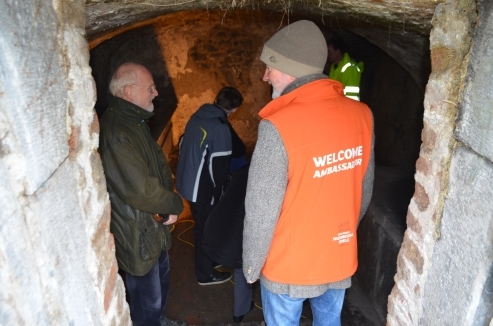 One of our City Welcome Ambassadors assisting with access to a historic crypt. 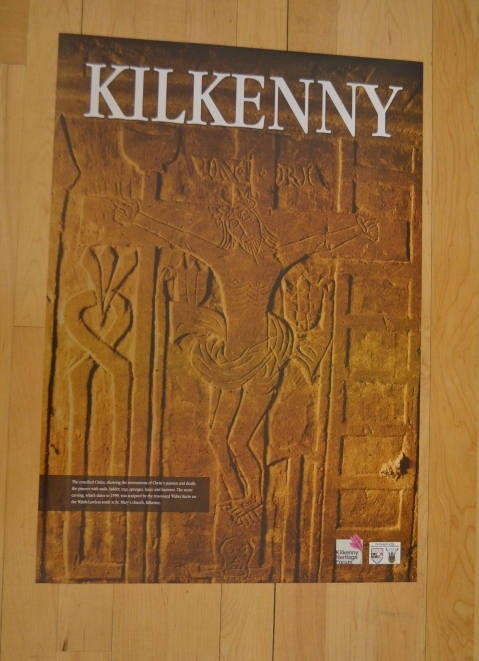 This entry was posted in Cityscape, Education, Kilkenny City and tagged graveyard, historic, kilkenny, lime, lime render, mary's, Medieval, presentation, week by KKB. Bookmark the permalink.